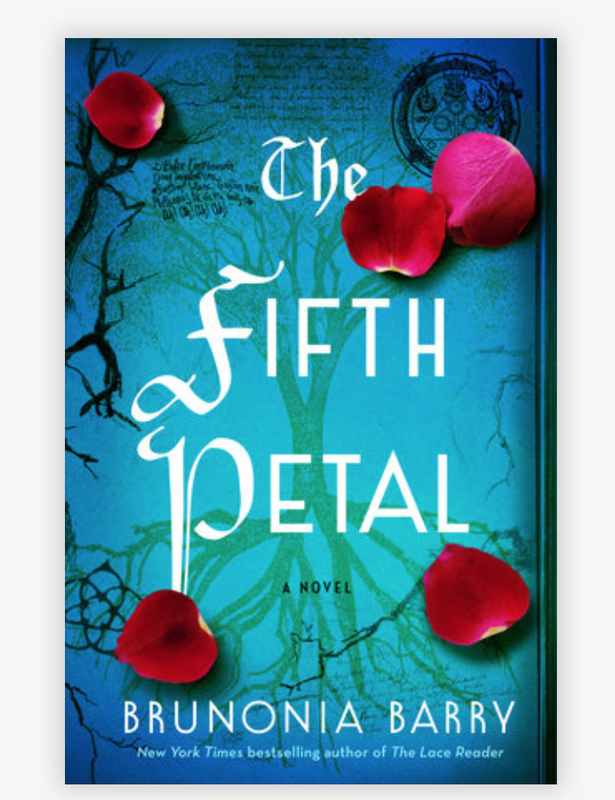 Fifth Petals is by Brunonia Barry, and after some research, I found out that the book was the second in the Lace Reader Series. I have never heard of this series before now. 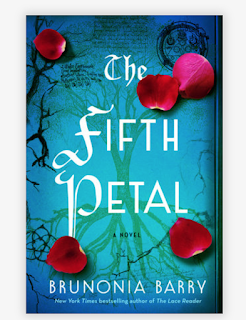 I received this Arc from Penguins Random House through Netgalley. The thing that mainly attract me to this book was the Colorful Cover. I usually am not a fan of American Covers but I did like this one. I also wanted to say I love the folk lore that is put into this book as well. Some of the Lore was from Ireland, and I love it. The book is mainly about a Murder Mystery, involving magic that takes place in the Famous Salem Massachuetts. The first part of this book opens up with a Murder, which involves three young girls and the local historian who eventually goes crazy. As the book continues we meet John Raferty who is now the local Salem Police Chief. Eventually. Callie Cahill the daughter of one of the dead women from the Murder decides to come home to Salem. She finds out along the way that not all is what it seems to be or what she was lead it to be about the Murder. Now if you wish to know the rest of the Mystery, I suggest you go read the book. Overall this book was a really great suspense thriller. I rated a 3.5 out of 5 stars simply because I felt like somethings weren't clearly cover or where cover to little in the way of the Plot. I did love the mystery though and as your reading it, this book keeps your blood pumping. I really think I would have enjoy this book more if I had read it around Halloween time, since that is part of the Story. Overall if you love suspense, thrill and scary movie excitement, you will love this book. All information to purchase the book is listed below as always.